One of the world’s most powerful and controversial figures comes to Broadway for six nights only! 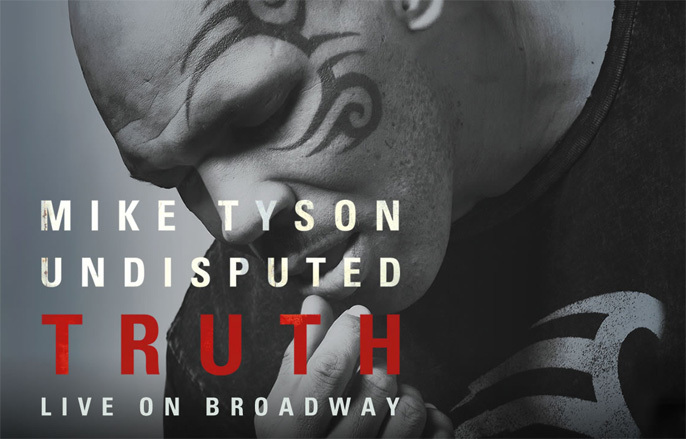 MIKE TYSON: UNDISPUTED TRUTH is a rare, personal look inside the life and mind of the one of the most feared men ever to wear the heavyweight crown. Directed by Academy Award nominee Spike Lee, this riveting one man show goes beyond the headlines, behind the scenes and between the lines to deliver a must-see theatrical knockout.